Segmental arterial mediolysis is a rare nonarteriosclerotic and noninflammatory vascular disease that may cause intraperitoneal bleeding. Scleroderma renal crisis is a rare complication of systemic sclerosis, leading to severe hypertension and renal dysfunction. As per Journal of Medical Case Reports 2019 13:74, this is the first reported case of a patient with concurrent systemic sclerosis with scleroderma renal crisis and pathologically confirmed segmental arterial mediolysis. A 68-year-old Chinese woman diagnosed with systemic sclerosis who was found to have coexisting segmental arterial mediolysis. 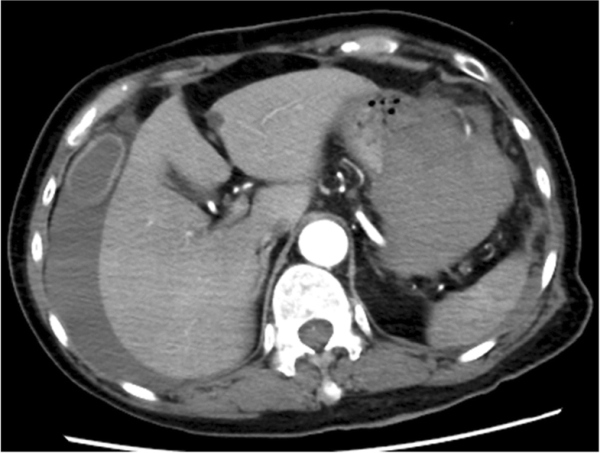 She presented with back pain, and massive intraperitoneal bleeding was detected by computed tomography. She underwent laparotomy, and the bleeding was found to originate from the gastroepiploic artery. The pathological examination demonstrated gastroepiploic arterial dissection caused by segmental arterial mediolysis. After surgery, she developed severe hypertension with hyperreninemia and progressive renal dysfunction. Given the risk factors of corticosteroid administration and the presence of anti-ribonucleic acid polymerase III antibody, she was diagnosed with scleroderma renal crisis. The patient was proved to have a very rare case of coexisting scleroderma renal crisis and segmental arterial mediolysis. There is no known etiological connection between segmental arterial mediolysis and systemic sclerosis or scleroderma renal crisis, but it is possible that coexisting segmental arterial mediolysis and scleroderma renal crisis may have interacted to trigger the development of the other in our patient.